Show your next client that you carry garbage collection insurance by quickly downloading our Certificate of Insurance online. You can even quickly and easily add any or all of your customers as an Additional Insured and print as many copies as you need with no fees, ever. Thinking of growing from just garbage into ash or refuse collection? We've got your waste management insurance covered so you can focus on building your business the way you want to. You can even cancel instantly, online, anytime. Cash flow trouble? Our payment plans allow you to pay your waste disposal insurance premium on a monthly basis so you can keep your business running and be insured at the same time. Of course, we don't charge any extra fees if you choose that option. All plans include General Liability; Pro and Pro Plus plans also include Professional Liability coverage. A customer falls and injures himself on a piece of garbage that flew back out once you put it in your truck. The same person asks you to pay for their medical expenses, rather than pursue a lawsuit. While collecting all of the items you were asked to remove from a home, you accidentally knocked over a painting. The frame shatters all over the floor. A client sues you for using before and after images of his property in advertising without prior consent. You make a joke to the waitress about the state of a customer's home while out to lunch at the local cafe. The discussion gets back to your customer. He doesn't think it's funny, and he sues. 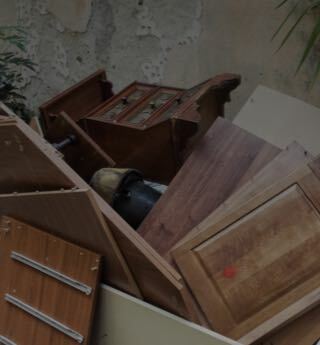 Your work cleaning up the garbage in a house left the floors scratched. Now your customer has to get them resurfaced. Unfortunately, they sue you to cover the cost. If you've purchased a Pro or Pro Plus plan, Professional Liability Insurance is included.